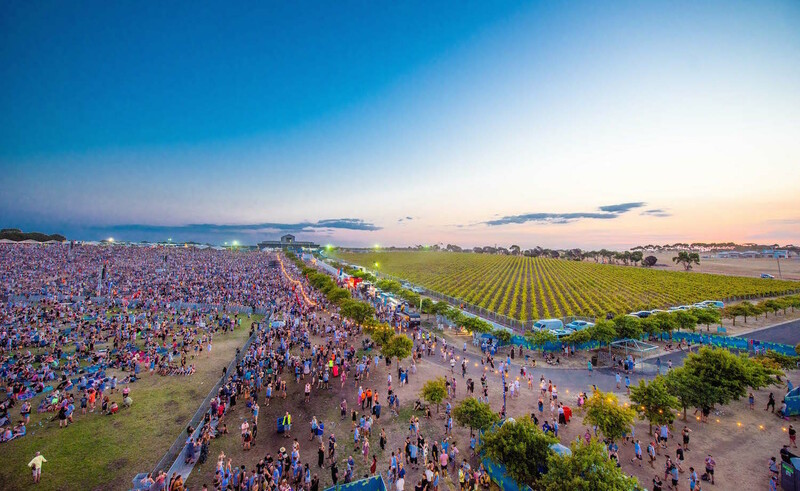 This summer’s A Day On The Green outdoor winery shows hit a new attendance high of 210,000 – which is up there with figures by Big Day Out and Soundwave in their heyday. Since launching in 2001, ADOTG has staged 470 shows to a total audience of 3.5 million. This summer was “our most diverse season”, organisers said, with eleven of the concerts selling out. The season kicked off with a solo run from John Farnham who played to 60,000 fans around the country. He was followed by events headlined by Florence + The Machine, Red Hot Chili Peppers, Kylie Minogue, Bryan Ferry, Bryan Adams and John Butler Trio & Missy Higgins, with “special” international guests including Richard Marx, Jake Shears, George Clinton & Parliament Funkadelic and Marlon Williams. The Red Hot Chili Peppers concert at ADOTG’s biggest venue, Mt Duneed Estate in Geelong, became the fastest-selling show in ADOTG history. It was also the setting for one of Florence Welch’s most memorable shows of her Australian tour. “Geelong was crazy – there were just so many people. I couldn’t believe it, I was really moved by it,” Welch told triple j.
Roundhouse Entertainment promoter Michael Newton said in a statement, “We’re proud to consistently deliver premium outdoor concert experiences to the high standard a day on the green has become renowned for. “It’s a tough, competitive marketplace and to remain viable, it’s essential to grow the brand to reach new audiences. This season saw strong support of Australian talent, welcoming Daryl Braithwaite, Russell Morris, Mark Seymour & The Undertow, Dan Sultan, Busby Marou, Mahalia Barnes, Stephen Cummings, Models, as well as many “first-timers”, I’m Talking, Bachelor Girl, Pierce Brothers, Stella Donnelly, Hatchie, Slowly Slowly, Jack River and Client Liaison. The second collaboration with the team behind RNB Fridays for the RNB Vine Days series proved another smashing success, showcasing some of the biggest names in contemporary R&B – including Nelly, Craig David, All Saints, Amerie and YO! MAFIA.